Want to see all the technologies used by mobile88.com? 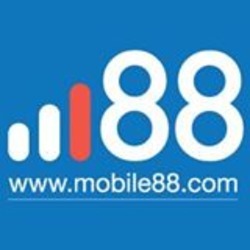 Mobile88 is one of Southeast Asia’s leading media properties covering and reviewing mobile hardware and software. Mobile88 is was started back in the year 2000, back when mobile phones were just a geeky obsession. Things have changed a little since then and mobile devices are now a mainstay in almost everyone’s pocket – that’s over 100 million pockets to be exact, according to the Nielson report. Mobile88 cares about technology and gadgets, we care because it’s our passion. Whether it is playing games, watching movies or the traditional phone call or instant message, gadgets have changed our lives in very unique and profound ways. For a quick look at additional technographic info on mobile88.com or any domain on the web, download our Chrome Extension. Check out our help article to see how Datanyze Insider can help you.